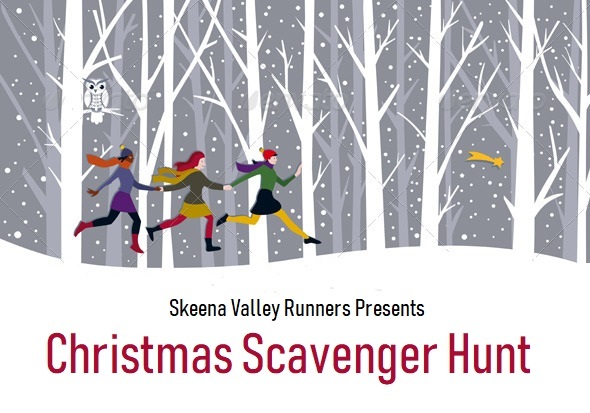 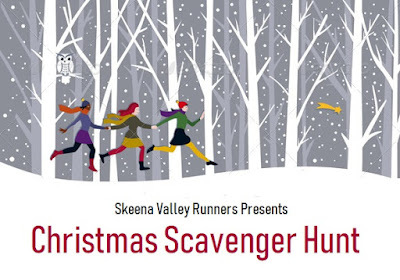 Welcome to the first ever Skeena Valley Runners Scavenger Hunt. 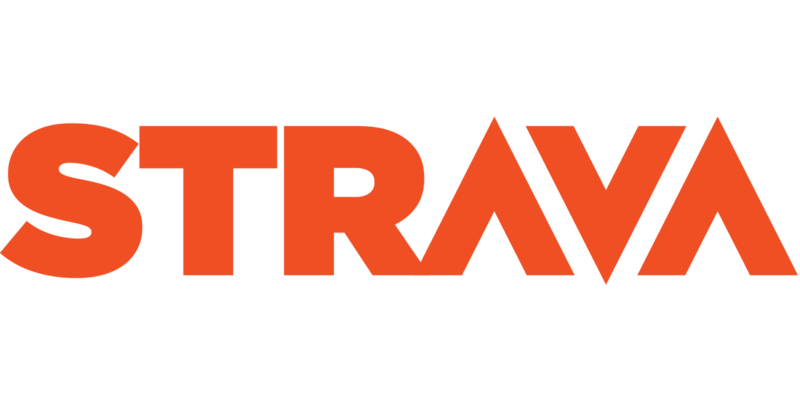 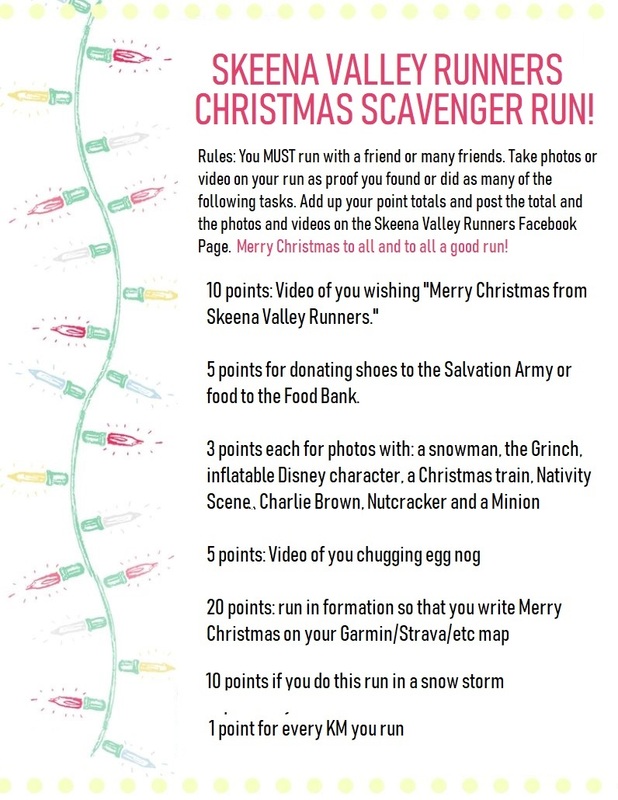 The idea: You and a friend or friends will find/do as many things off the following scavenger list on a single run between December 6th and December 16th. 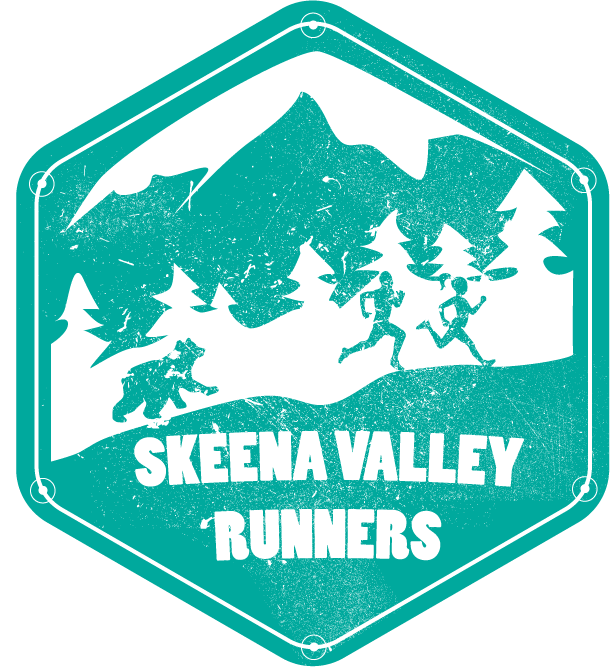 You will accumulate points for everything you accomplish, with photo and video proof to be uploaded to the Skeena Valley Runners Facebook Page. Everyone who participates will be eligible for a randomly drawn gift card from one of our sponsors - The Hot House Restaurant!